This LARGE 36.4×41.5mm. 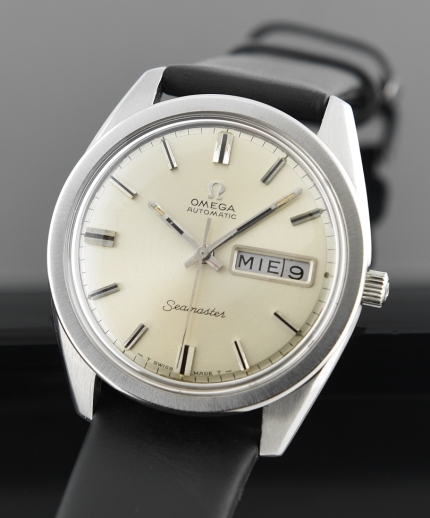 stainless steel OMEGA SEAMASTER with Seamonster case back, wide bezel, signed crown and crystal and beefy lug is a hot watch. This Omega really looks brilliant! The original silver dial is pristine, having Spanish date wheel. The steel case also looks close to new. The caliber 752 automatic winding movement was just cleaned and accurate. 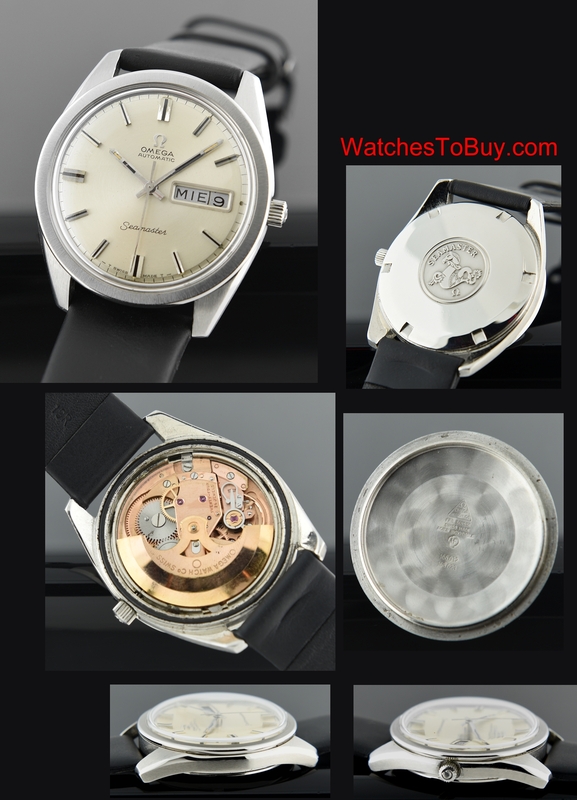 These larger size OMEGA SEAMASTERS are becoming harder to find these days. Don’t pass on this watch.